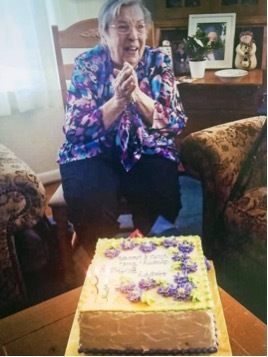 YORK, PA – Back in August of this year, a 91-year-old resident of York, PA rushed to her neighbor’s apartment with a portable fire extinguisher after being alerted to a kitchen fire. Neighbors recounted that the 91-year-old confidently grabbed the portable fire extinguisher from the apartment building hallway and put out the kitchen fire. Even more impressive was that the elderly woman was able to extinguish the flames despite her already failing health; she passed away from congestive heart failure in September. The City of York posthumously honored her with the creation of the Distinguished Citizen of the Year Award in her name for community members who go above and beyond in providing extraordinary service for the safety and well-being of their community, just as she did in August.